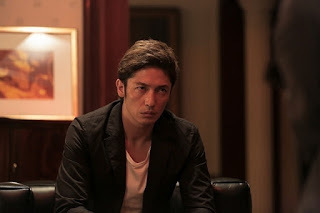 Still from 2018 film adaption of Evil and the Mask (Aku to kamen no ruuru), a novel by the award-winning Red Circle author Fuminori Nakamura. In January the first of three major Japanese feature films to be launched in 2018, all based on books by the award-winning Red Circle author Fuminori Nakamura, went on general release in Japan. The first film, released on 13 January, is based on Nakamura’s novel Evil and the Mask (Aku to kamen no ruuru), originally published in Japanese in 2010 and subsequently in English translation in 2013, Nakamura’s second novel to be published in English. 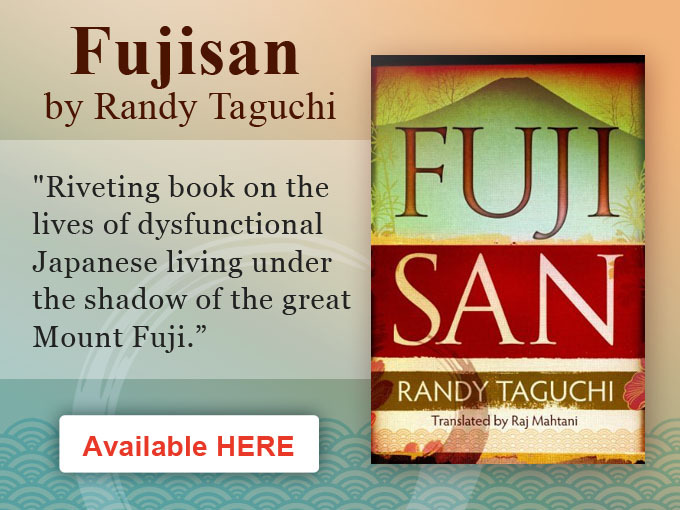 The Wall Street Journal described it as a metaphysical crime novel from a master of Zen noire. 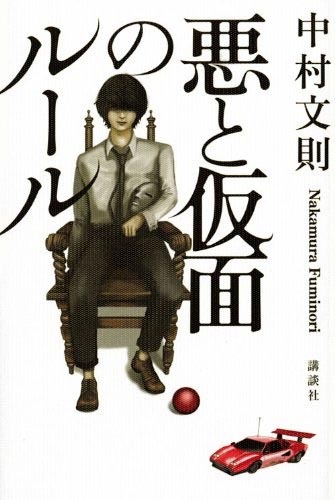 Image of book cover for Evil and the Mask (Aku to kamen no ruuru), by Fuminori Nakamura, first published in 2010. Unsurprisingly, given the book in Japan and the excellent reviews it received in Japan and internationally the film features an impressive array of high profile Japanese actors. It is directed by Teppei Nakamura and stars Hiroshi Tamaki (Waterboys, Nodame Cantabile, Iron Chef) and Yuko Araki (Confessions, Love Love Alien); all very well known in Japan. Promotional poster for the 2018 film Evil and the Mask (Aku to kamen no ruuru), based on a novel by the award-winning Red Circle author Fuminori Nakamura. The film like the book, which is “an electric literary thriller that explores the limits of human depravity; and the powerful human instinct to resist evil”, follows the story of Fumihiro Kuki whose father is the head of the Kuki family, a Japanese aristocratic clan with a successful business empire. From that point onwards, as in earlier generations of the family, Fumihiro is taught how to create as much destruction and unhappiness in the world around him, acts which the family hope they can exploit and profit from. However, driven by his desire to protect Kaori, a young girl adopted as his sister and with whom he has fallen madly in love, he changes his face and name and disappears to protect her and keep a watching eye over her from a distance. “It is an extraordinary love story,” according to the popular Hiroshi Tamaki, who plays Fumihiro Kuki in the film. Both Tamaki and Araki are reported to have been delighted to get their roles in what many are anticipating will become one of the high profile Japanese films of the year. This is not, however, the first film adaption of a Nakamura novel. His fast-paced narratives, and intelligent withholding techniques, hypnotically blend psychological suspense with literary fiction something that makes the transfer of format to film smooth and successful. His 2007 book Final Life (Saigo no inochi) was released as a film in 2014, directed by Junpei Matsumoto and his short story Hee (Fire) was also successfully adapted and released in film format in 2016. His novel Last Winter, We Parted (Kyonen no fuyu, kimi to wakare) originally published in Japanese in 2013 and in English translation in 2014 by Soho Press will be released as a Warner Brother film in March and The Gun (Juu), his debut novel, published in 2003 and in English translation in 2016 later this year, making 2018 a very exciting and high profile year for Nakamura. 2018 has already got off to a good start for Nakamura. Books Kinokuniya, Japan’s largest bookshop chain, selected his latest novel R Empire (R帝国) as its 2018 best book, leading its commercially important list of the 30-top recommended books published in the last 12 months. The selection is being followed by a special nationwide campaign at all of Kinokuniya’s 64 bookstores in Japan just as Evil and the Mask is released at cinemas across Japan. The official Japanese website for the first of the three 2018 Nakamura film adaptations, Evil and the Mask, can be accessed here. Fuminori Nakamura is the most exciting thriller and crime writer of his generation in Japan whose fast-paced narratives hypnotically blend psychological suspense with literary fiction. Nakamura, who has won numerous literary prizes in Japan, won his first non-Japanese literary award in 2014, the NoirCon’s David L. Goodis Award, named after the American crime fiction writer, who epitomized the noir fiction genre.